Baptism is a special moment in your life and an opportunity to share your faith in Christ with others. When you arebaptized, regardless of your age or background, you are obeying Jesus’ command to all His followers. Baptism is a covenant with God, by which an individual openly acknowledges that he or she has renounced the world and has decided to become a subject of the kingdom of Christ. Baptism also presents others with a vivid picture of cleansing and forgiveness, and, although baptism itself does not secure your salvation, it publicly identifies you with Jesus Christ and His church. 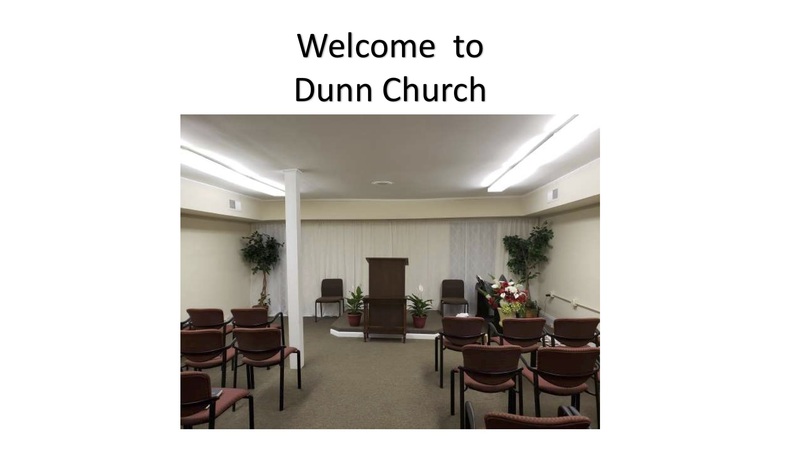 On March 30, 2019, 3 souls were baptized in the city of Dunn, North Carolina. Ramon Ayala, Darling Bottia Vera, and Maryanne Herman Wilcox decided to honor their Lord and consecrate their lives through the ritual of baptism by making their public profession of faith, and descending into the water with the conviction that our Lord Jesus Christ is the only way to salvation. It has been a wonderful experience working with these brethren. Since they have been with us, they have been an invaluable help and encouragement. Please continue to pray for these new members, and the entire congregation of the church here in Dunn. Currently, we are working with 5 new souls who, if the Lord allows us, in a near future will be baptized. “Baptism is a most solemn renunciation of the world. Those who are baptized in the threefold name of the Father, the Son, and the Holy Spirit, at the very entrance of their Christian life declare publicly that they have forsaken the service of Satan and have become members of the royal family, children of the heavenly King.”—Testimonies,vol. 6, p. 91.